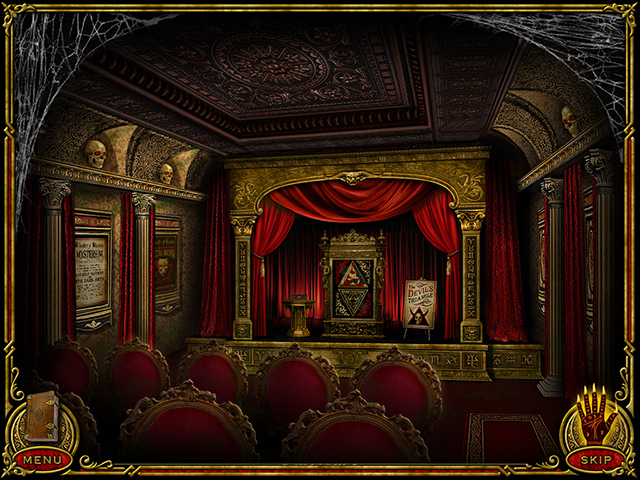 WARNING: The Cabinets of Doctor Arcana contains occult images that may not be suitable for younger players. 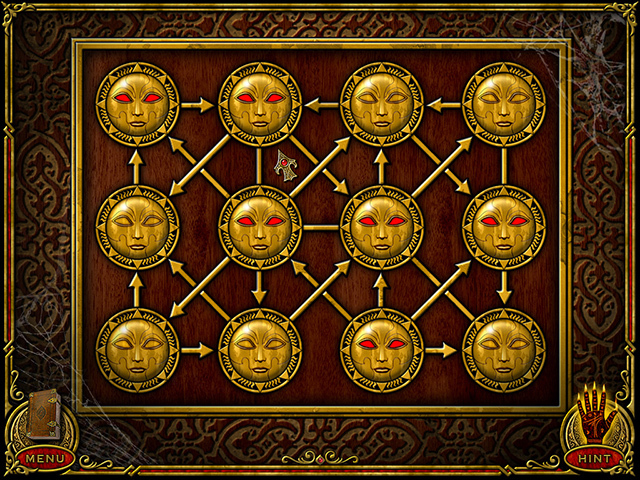 The Cabinets of Doctor Arcana is a throwback to early computer puzzle games. The game was designed to have a very retro look and feel within a simple framework with minimal mouse controls. The end result is an effectively moody and entertaining game that evokes a haunting sense of nostalgia. Players must resolve a variety of devious puzzles to unlock Doctor Arcana's darkest secrets. Players are also subjected to taunting remarks from Doctor Arcana throughout their adventure, and lost souls who consult the in-game walkthrough, aptly named The Cheater's Compendium, will be scolded and ridiculed for doing so. For those seeking something more mentally stimulating than the usual arcade game or hidden object adventure, this is the game for you. 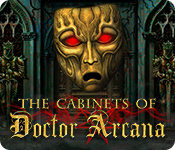 The Cabinets of Doctor Arcana is rated 4.1 out of 5 by 51. Rated 5 out of 5 by bluesycat from I LOVED this puzzle game! Based on the completed game. This is a great game for puzzle lovers, not so much for anyone else. There are a variety of types of puzzles that repeat, but the degree of difficulty changes for puzzles that appear more than once. 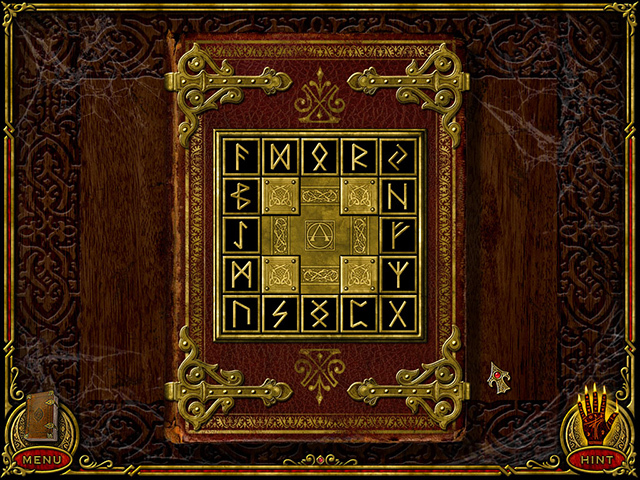 The further you get in the game, generally, the harder the puzzles are. I had to skip a bunch of them, even with the help. I'll join with others in complaining about the mostly useless map, but having to travel for it made you really remember where you were and what you had seen there. Often you cannot finish a location on your first visit, so the map was occasionally helpful. What was not so helpful, but oh, so much fun, is the Cheater's Compendium. It's worth the read through, just to feel how useless and stupid you are, even when you have actually solved something. The tone is hilarious. The hints are scant, although there are lots of clues - you just have to remember to look for them. I also found that some of the solutions in the Cheaters Guide did not work (or maybe I couldn't follow the directions). The graphics, while old style, are exquisite. The game plays more like a CE than and SE and I had a great time spending a few hours over several days with it. Then I went back and played it again as another player. Someone else noted that you can't go back and play the games you've skipped, and that would be a nice fix. I wholeheartedly recommend this game (which I don't often do)! Rated 5 out of 5 by reneeshad from Great Puzzle Game I was happy to play a game that isn't like all the other games I have played lately. I feel a little in a rut and this broke me out. This is a straight up puzzle game, It is puzzle after puzzle in order to learn about Doctor Arcana and escape his mansion. The puzzles were varied and interesting, and a few I ended up skipping due to my lack of patience when I get stuck. That brings me to my one tiny drawback, and that was there were no hints on where to go. I found myself a couple of times wandering from room to room trying to locate the puzzle that I needed. Once you get into the library you can jump from room to room, but there is no indicator on where to go. Overall super fun and I spent a nice rainy afternoon playing it. Rated 5 out of 5 by zephyr46 from Fun Challenging Retro Style Game I really enjoyed this game. It is one of the best games I have played in a very long time - definitely a Game of the Year contender. It reminded me of puzzle games from the 90's. If anyone remembers the Seventh Guest it is very similar in feel to that just not as complex. Yes the puzzles do start off easy and there is repetition with unlocking the doors but the difficulty does increase as you go along. The only thing that would have been nice is to be able to have the map with you to be able to zip through the rooms quickly, but as a previous reviewer stated, it is not a big house that you are exploring its just tedious going back to previous rooms looking for clues and items that you may have missed or to go back to puzzles that you have finally located a clue for. The other nice thing would have been a counter letting you know the number of secrets you had uncovered and same with the artwork. I managed to find all 38 pieces of art but it wasn't until the end that I discovered that I had only found 20 of the 22 secrets and I can't go back to see if I can find the missing 2 secrets. i hope that the game developers create a sequel as I really did enjoy playing this. Rated 5 out of 5 by Atardecer from Excellent Adventure Game I really recommend this game for Adventure Games lovers. At last we got a different game for a change. Get it, you won't regret it. Rated 5 out of 5 by ipprocessdoc from Puzzles, puzzles, and more puzzles OK so I bought this after playing the demo for 15 minutes. This is not your everyday HOP game so don't go there if that's what you are looking for. This is a bona fide puzzle game. Yes there is a help. Go back to the main screen and click on EXTRAS and then the CHEATER'S COMPENDIUM. This has all of the help you'll ever need. Here's a clue to get you past the front gate - Abracadabra!!! If you've gotten that far, I was a little confused at the staircase as I didn't realize there were hallways off the top floor and only stumbled on it by accident. So move your cursor around and you'll get there. Read the low ratings. They are all from people who couldn't find help or didn't know how to get past the gate. Everyone else loves the game. Now that you know where the help is, you should love it too. Enjoy!!! Rated 5 out of 5 by giusytriso from I LOVED IT! This game reminds me of the first ever game I played...AZADA! It's a game with logic puzzles that are not so easy to solve (in fact, I had to skip 4 puzzles that I wasn't able to solve) Inside the many rooms of the mansion you will find many clues that will help you to solve the puzzles... but some clues are not so easy to find. You have to look very hard. The puzzles are quite challenging and you have to use logic to solve them... and that's the main reason why I love this game. I love logic puzzles. So, if you love the usual HO games, you may don't like this one. It's a pity that there isn't a guide though, cause I would have liked to see the solution of those games I skipped. Anyway, if you love challenging games, this one is for you!